We know that the PS4 will have a Share button that will enable PS4 gamers to capture, upload and share clips of their best gaming moments. But what if there wasn't a Share button? 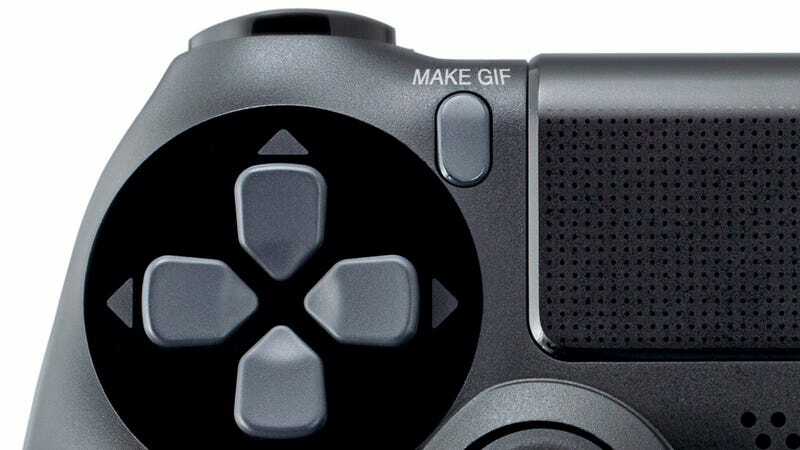 What if there was a "Make GIF" button instead? For things that are actually going to happen on Sony's next console, check out our handy PS4 explainer. It's overflowing with details.